VitaNet Suite SDK helps you to cost-effectively build, manage, and maintain your systems. VitaNet Suite is a combination of VitaNet Framework for Firmware, iOS, Android, and/or Gateway. These are supported by VitaNet Server services for BLE connection management for your server. VitaNet offers flexible SDK license options based on your needs. From personal device to M2M gateway, VitaNet Suite ensures that your systems provide their target market with secure and easy to manage products. Shorter time to market also is achieved. VitaNet Framework has little hardware dependency. VitaNet Suite API helps you fulfilling both IoT device and system level requirements, avoiding consuming your development efforts on connectivity. User data is kept synchronized by simply launching the VitaNet SDK-based app. The app takes care of everything else – device operation is effortless. Suite provides just that so IoT manufacturers can build simple interface for end-users. Patent-pending VitaNet technology makes your devices operating in stealth mode. RF scan can not find your devices. For M2M, pairing is automated with authentication. Your server can easily and securely control BLE connections among devices. In case of Rx/Rx 5~6 mA BLE chip, power consumption can be in 20 ~ 30 μA range with ave. 3 sec connection time. VitaNet Suite extends battery life and reduce operating cost to help promote 24/7 use. Suite allows your IoT device to be accessed by multiple users with different access levels if required. VitaNet Suite can also address remote end-user/personnel authentication, access control, user/asset tracking, and more. VitaNet provides various methods to evaluate, prototype and build your solutions. With our gateway solution, your server can specify and control BLE connection between gateway and IoT devises with lower cost of maintenance. It helps you to build Bluetooth based cost competitive M2M systems. 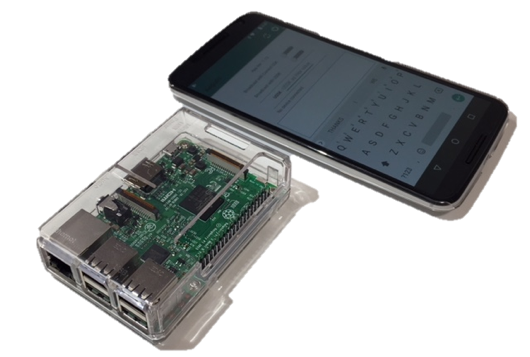 The Framework is ready for Raspberry Pi 3 Model B with Ubuntu Mate and C language. 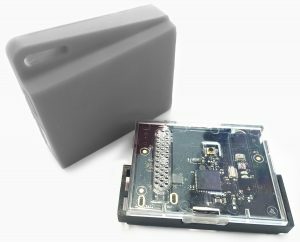 This makes prototyping and porting your code to production hardware of your choice, which may come with BLE5, easier. Contact us to set up your kit today. Customers can test VitaNet Secure technology with an existing USB-enabled device. 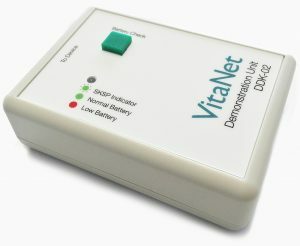 The VitaNet DDK02 unit comes with a USB interface as well as TI CC2640 SoC with VitaNet Framework for Firmware. 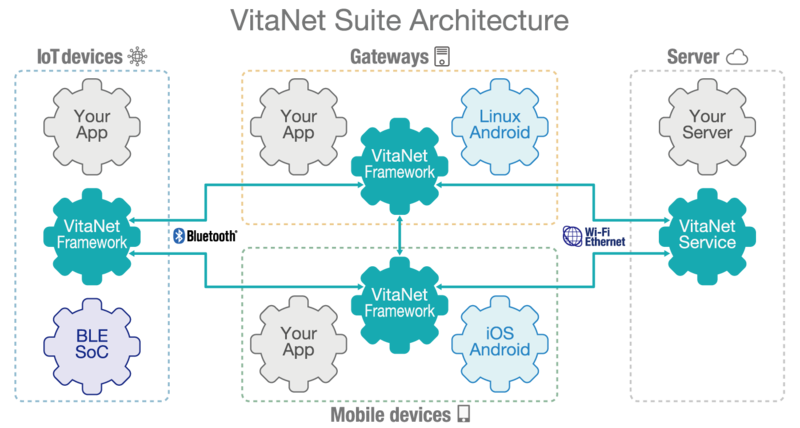 Customers can evaluate the entire device-app implementation with VitaNet Framework for iOS and/or Android. Alternatively, VitaNet team can build a simple app customized to customers needs upon request. Experience Bluetooth Low Energy (BLE/Smart) with VitaNet’s stealth mode, StealthTag. To do so, TI SensorTag owners simply download the Android application and the VitaNet StealthTag application will manage the installation of VitaNet firmware to the SensorTag by OAD. This process converts SensorTag to VitaNet StealthTag and vice versa. Purchase the Texas Instruments SensorTag here. Download the VitaNet StealthTag for Android* here. * Only compatible with Android devices that support BLE Peripheral mode. 1. SensorTag name and logo are trademarks of Texas Instruments Incorporated. 2. Android, Google Play, and the Google Play logo are trademarks of Google Inc.